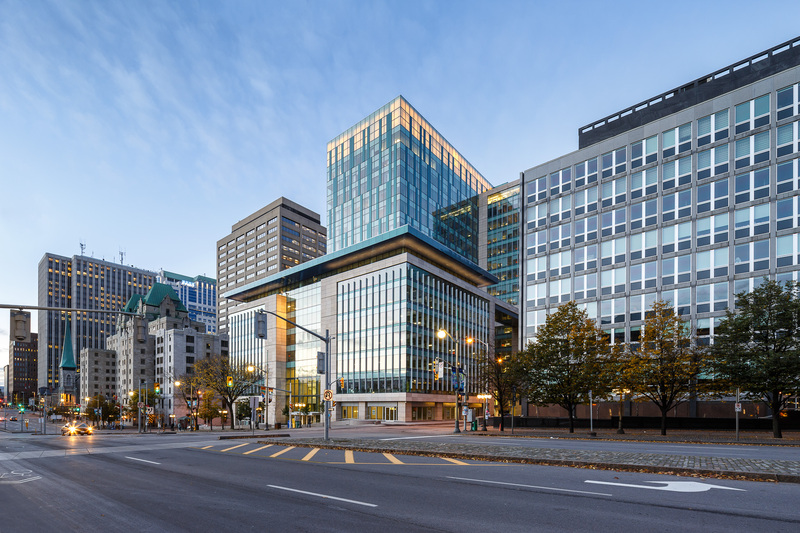 The first major new construction on a core block within Canada’s National Capital Region, 90 Elgin – renamed the James Flaherty Building – recently opened its doors this past falls. 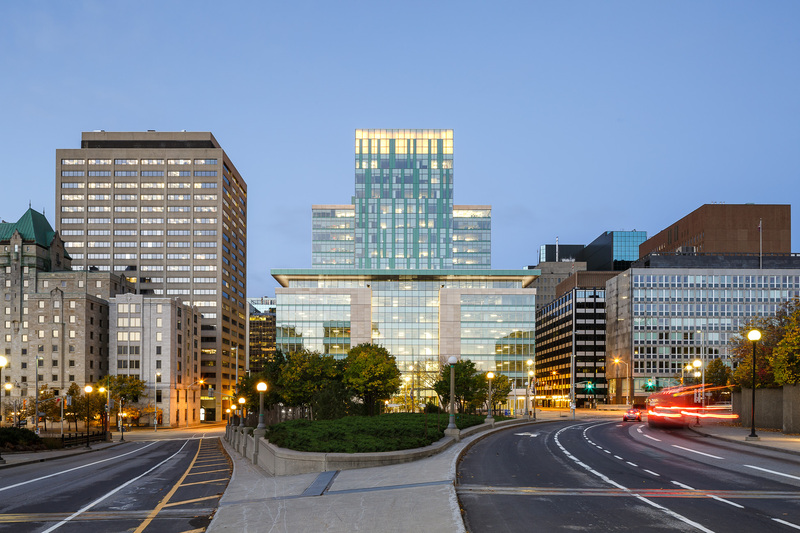 We were commissioned by the joint venture partners DIALOG and David S. McRobie & Associates to document this 700,000 Sqft building. The project forms part of confederation boulevard, the ceremonial route for processions and state visits. The building complements the massing and materiality of other confederation boulevard landmarks, including the Chateau Laurier, the Lord Elgin and the British High Commission. The street-level facades are designed to create inviting pedestrian environments and will contain mixed retail. 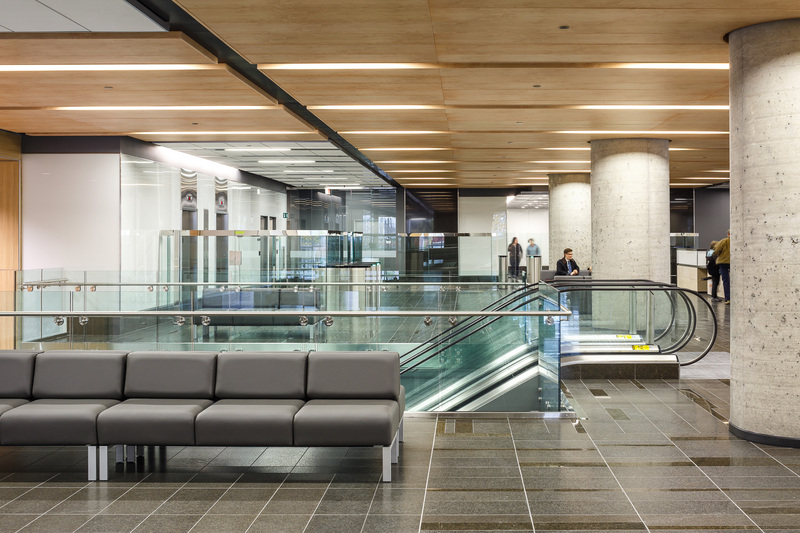 The building also incorporates a wide range of sustainable design features earning its LEED Gold certification. OTTAWA’S LATEST ARCHITECTURAL ADDITION SHARES AT LEAST A FEW CHARACTERISTICS WITH THE LATE CANADIAN MINISTER OF FINANCE, JIM FLAHERTY. 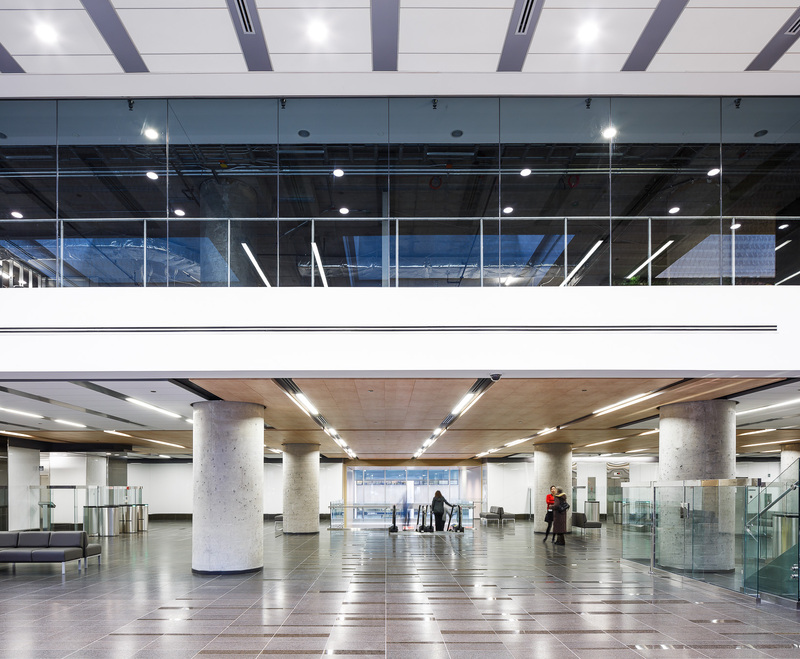 PUBLIC WORKS AND GOVERNMENT SERVICES CANADA RECENTLY OPENED AND DEDICATED 90 ELGIN STREET, A LANDMARK 17-STOREY OFFICE BUILDING IN OTTAWA. 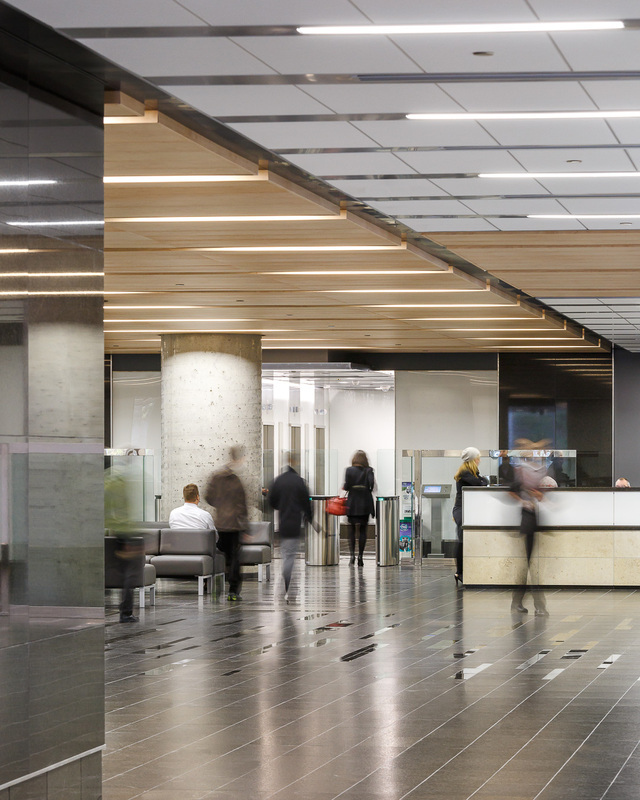 THE LEED® GOLD JAMES MICHAEL FLAHERTY BUILDING WAS PROMPTLY DEDICATED TO CANADA’S FORMER MINISTER OF FINANCE BY PRIME MINISTER STEPHEN HARPER. 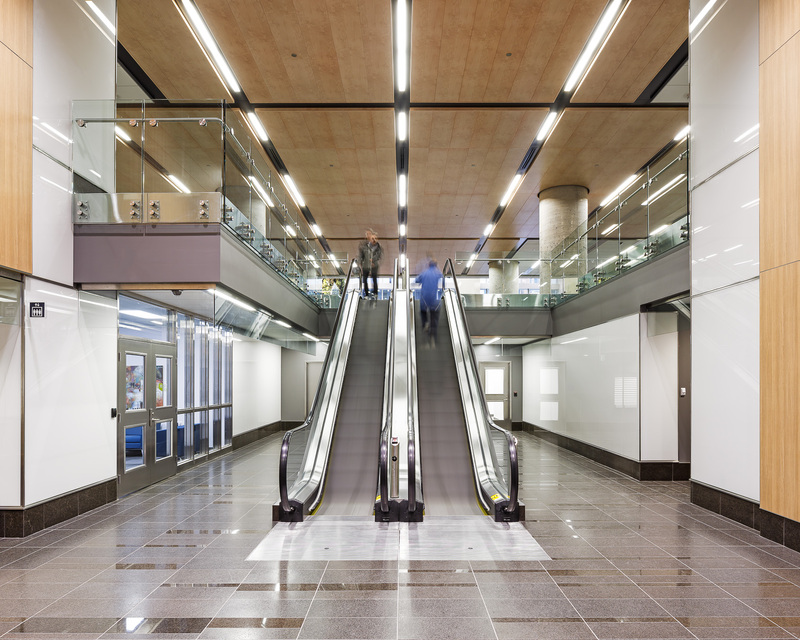 COMPLETED ON TIME AND BUDGET, IT IS ONE OF THE FIRST P3 PROJECTS TO BE COMPLETED IN OTTAWA FOR THE FEDERAL GOVERNMENT. 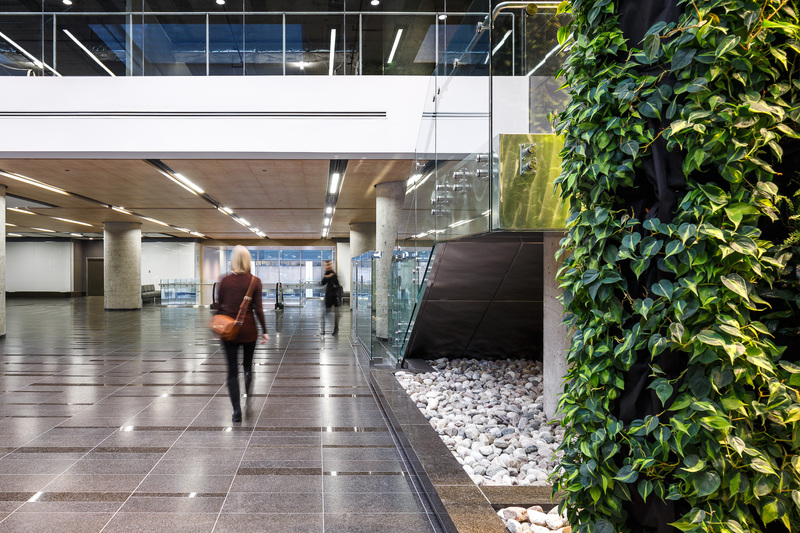 THE 700,000 SQFT (65,000 SQM) FACILITY, WHICH EMBODIES THE LATEST DESIGN APPROACHES AND BUILDING TECHNOLOGIES FOR SUSTAINABLE DEVELOPMENT, IS THE FIRST MAJOR NEW CONSTRUCTION IN MANY YEARS ON A CORE BLOCK WITHIN CANADA’S NATIONAL CAPITAL REGION. THE PROJECT FORMS PART OF CONFEDERATION BOULEVARD, THE CEREMONIAL ROUTE FOR PROCESSIONS AND STATE VISITS. 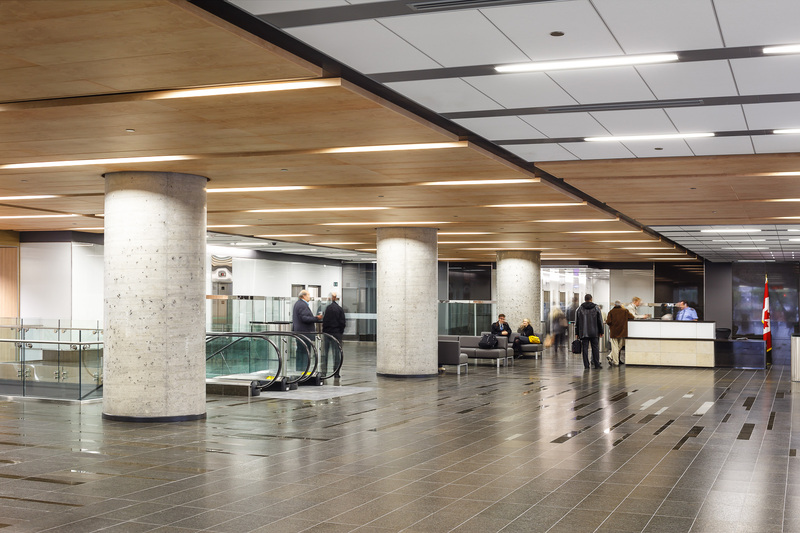 WHEN FULLY OCCUPIED, IT WILL ACCOMMODATE APPROXIMATELY 2,500 EMPLOYEES FROM THE DEPARTMENT OF FINANCE CANADA AND THE TREASURY BOARD OF CANADA SECRETARIAT. LOCATED NEAR PARLIAMENT HILL AND THE NATIONAL WAR MEMORIAL, THE JAMES MICHAEL FLAHERTY BUILDING COMPLEMENTS THE MASSING AND MATERIALITY OF OTHER CONFEDERATION BOULEVARD LANDMARKS, INCLUDING THE CHATEAU LAURIER HOTEL, UNION STATION, THE LORD ELGIN HOTEL AND THE BRITISH HIGH COMMISSION. IN ADDITION TO GOVERNMENT OFFICE SPACE, THE JAMES MICHAEL FLAHERTY BUILDING CONTAINS RETAIL AT GRADE AND PROVIDES 290 UNDERGROUND PARKING SPACES. 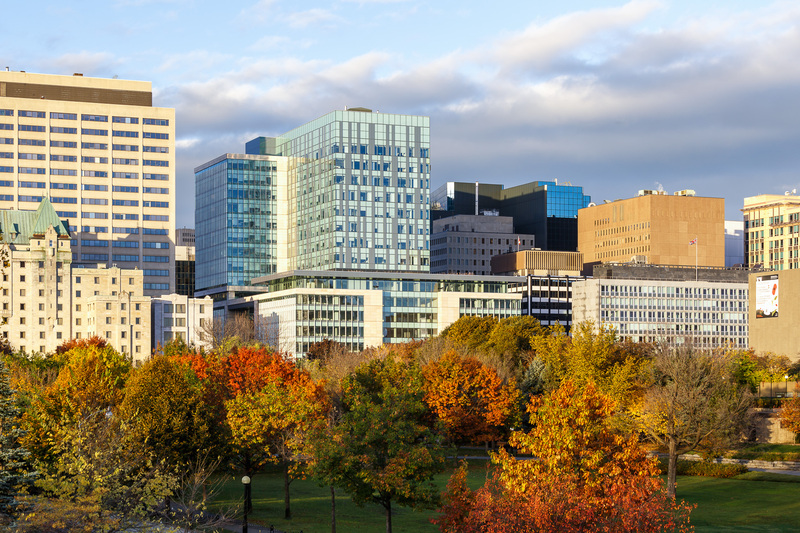 THIS SUBSTANTIAL DEVELOPMENT ENLIVENS AND COMPLEMENTS A REVITALIZED, CEREMONIALLY SIGNIFICANT ROUTE THROUGH THE HEART OF OTTAWA.